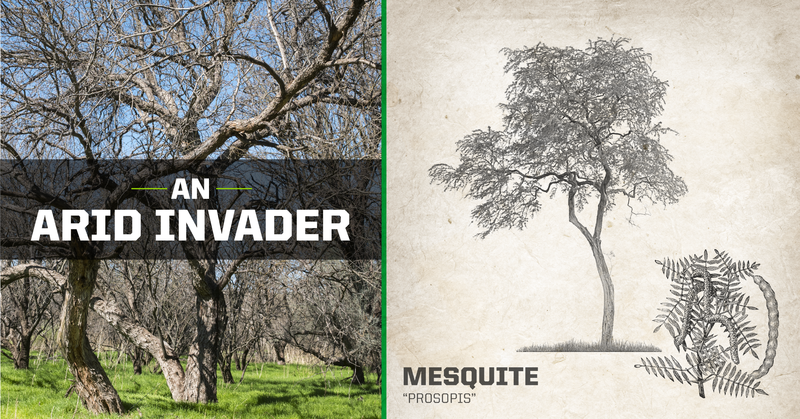 Mesquite trees are some of the worst invasive species on the planet known as "the devil with roots". This arid invader of water is a problem for many ranchers and producers in the southern and southwestern regions of the US. 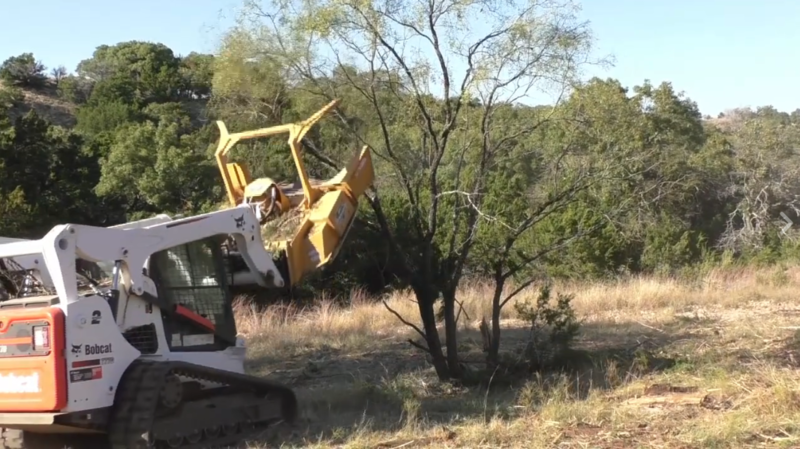 Overgrown Mesquite on rangeland in Tuscola, TX being eliminated by the Diamond 60" Skid-Steer Forestry Mulcher. The increase of Mesquite trees in southern states has consumed pasturelands, fueled drought conditions, and increased salinity in shallow marine areas due to lack of groundwater flow, harming native species and hurting rangeland production.